AARP Foundation, a grantee of the Social Innovation Fund (SIF), has awarded a generous four-year grant to United Way California Capital Region to help grow Experience Corps, the evidence based AARP Foundation literacy program that improves the reading skills of children, enriches the lives of volunteer tutors, and strengthens schools in local communities. Almost 70 percent of students in the U.S.—about 6.6 million children—are unable to read proficiently by fourth grade. AARP Foundation Experience Corps matches volunteers age 50 and up with students in kindergarten through third grade to help them improve their reading skills. The program offers both 1:1 and small group tutoring assistance. United Way California Capital Region will work closely with AARP Foundation and an independent evaluator to investigate the expansion of small group tutoring and small group plus classroom-wide assistance models to accelerate literacy achievement. This subgrant award is the result of an open competition held by AARP Foundation to identify and select promising organizations in high need communities to implement and rigorously evaluate the Experience Corps model. 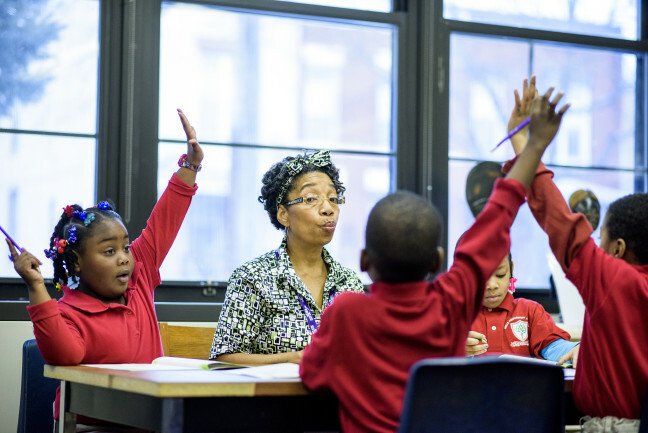 “Experience Corps’ proven track record of matching older adults as 1:1 volunteer reading tutors with children in grades K-3 is not only working but the results are most impressive. The Social Innovation Fund is eager to provide funding to this cutting-edge intergenerational model that is potentially increasing the number of children being served and expanding this volunteer delivery system to include smaller reading groups. We are looking forward to building a dynamic program with AARP Foundation that supports these efforts while creating new opportunities for people 50+ to be engaged in their communities,” said Damian Thorman, director of the Social Innovation Fund. The Social Innovation Fund requires that each federal dollar granted be matched dollar for dollar by intermediary grantees and again by the organizations they select to receive grants. Other subgrantees include Aspiranet in San Francisco, The Children’s Initiative in San Diego, Generation Inc. in Boston, Read to Succeed Buffalo, Sacramento Chinese Community Service Center and United Way Central Georgia. For more than 90 years, United Way California Capital Region has brought people together to meet pressing needs in the Sacramento region and has changed the lives of hundreds of children, families and adults. Now United Way is mobilizing nonprofits, companies, schools, government and individuals across the region, state and country to make a collective impact in the areas of education, financial stability and health in Amador, El Dorado, Placer, Sacramento and Yolo counties. To donate or volunteer, visit www.yourlocalunitedway.org.